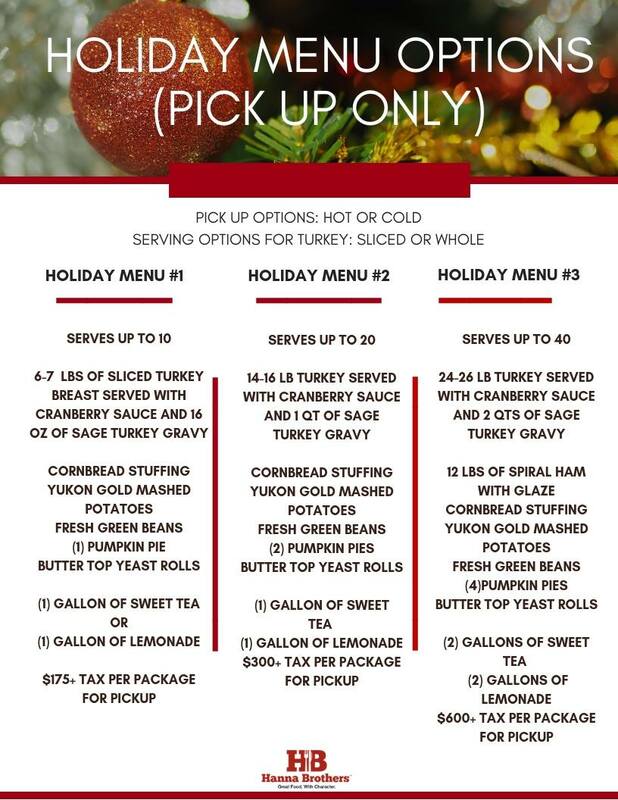 Holiday Packages - Let Hanna Brothers feed you this season! Let us do the cooking for you so you can relax with your friends and family. This year, we introduce to you our all NEW pick-up Holiday packages from Hanna Brothers. If you would like this ready for the oven or hot and ready for pick up, we have you covered this year! Email: infoga@hannabrothers.com for ALL Holiday Catering Inquiries.